Baby’s arrival brings not only joy to a family but also new responsibilities as a babe in arms needs to be fed, dressed and swaddled. One of the important factors of the right newborn baby care is bathing. Bathing procedure leaves infants not only fresh and clean, but also brings psychological pleasure as it has been proved that baths relax babies, improve their mood and boost appetite. 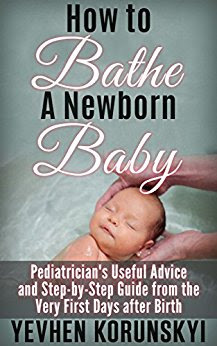 Another undeniable advantage of regular baby baths is that they strengthen your infant’s immune system, prevent respiratory conditions and diaper rash.